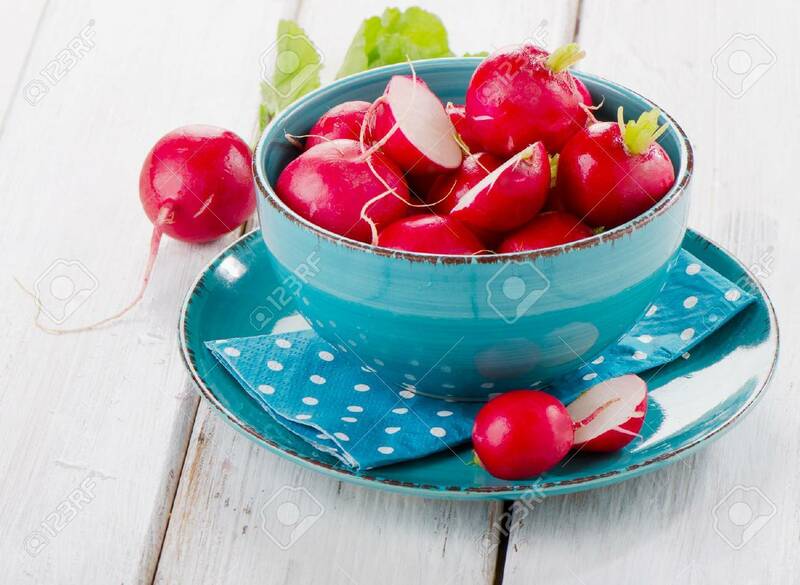 Fresh Radish In A Blue Plate. Selective Focus Stock Photo, Picture And Royalty Free Image. Image 27207650.